The Nike Sportswear Big Kids' (Boys') Just Do It Pullover Hoodie features soft fabric for comfortable coverage. 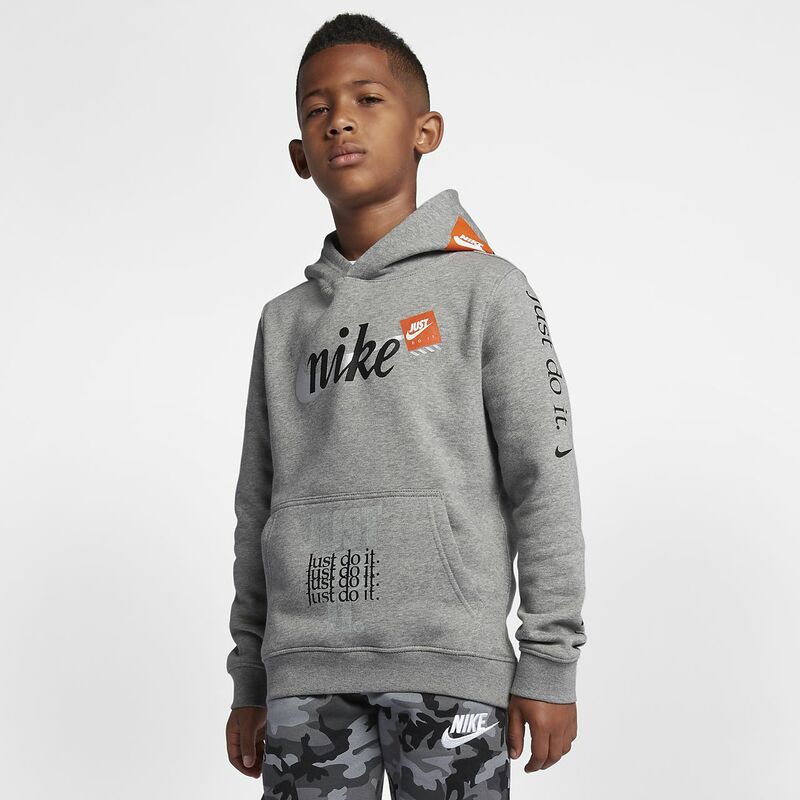 The Nike Sportswear Big Kids&apos; (Boys&apos;) Just Do It Pullover Hoodie features soft fabric for comfortable coverage. Son loves it he wear it every day price was great!